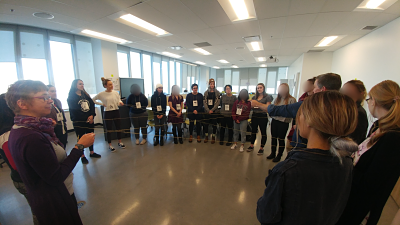 On Nov. 8, 2018, Mount Royal University students in the Bachelor of Education program took part in a "Greening Your Curriculum" workshop lead by Gareth Thomson and Diana Kurila, who is also a fourth year student in the program and working with ACEE part-time. 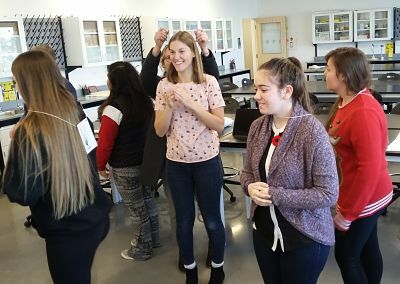 These eager and thoughtful teachers learned a variety of games to bring into their practicums and future classrooms, and took part in planning their own curriculum-aligned action projects to embark on with their future students. 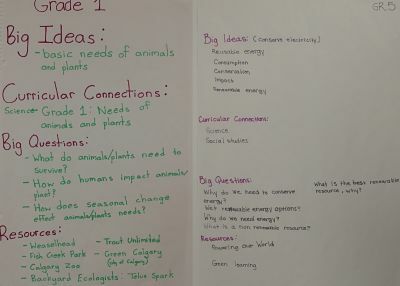 Together in groups, they developed plans using a framework that focused on big concepts to explore related to energy and environment, followed by curricular ties, essential questions, and resources to support these projects. The student teachers utilized the ACEE online Resource Hub to find lesson plans, videos, and programs that would support student learning. 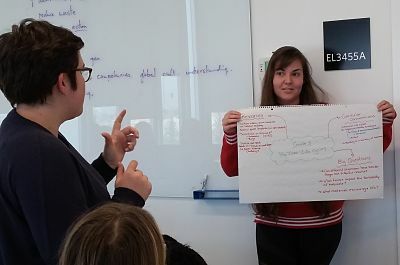 If you are looking to book a workshop in collaboration with your Education Students' Association or Education Undergraduate Society, please email Marie Tremblay: marie@abcee.org.